To the world, New Zealand is Middle earth, the land created by J. R. R. Tolkien, or it is the home of the All Blacks and a multitude of sheep, or a land of crazy people who like to jump off bridges. To those who have not ventured right down to the southern Pacific, New Zealand may be a bit of a mystery. To it's inhabitants and those who have come to know it, it is the Land of the Long White Cloud, Aotearoa, a country of contrasts and variation- of spectacular surf beaches and quiet bays, farmland and cities, (sometimes farmland in the cities), of thrillseeking and relaxed, laidback everday life, of coffee in an inner Auckland suburb, then fish and chips on the beach a few hours later. It is a place where you will meet people from all corners of the globe who have made their homes there. A campervan is an ideal way to see New Zealand- it allows flexibility and freedom to see what you would like to see when you would like to see it. A tip for visitors to the country: it is encouraged to stay in designated campgrounds, holiday parks or other approved areas. Free camping in areas like car parks and rest stops is not illegal, but can be restricted by local by-laws. It also can cause problems with litter and pollution as there are no facilities for rubbish and dumping waste. If you do decide to free camp, please make sure to do so responsibly- in a safe area, near public toilets if possible, and absolutely do not leave anything behind you. To learn more about responsible free camping and where you can park safely, ParkYourCamper is a great resource. Alternatively, try NativeParks to find locals who will open up their properties for campervanners to park free of charge. Paying options can be very inexpensive. DOC campsites, maintained by the Department of Conservation, provide basic facilities- water, toilets, sometimes showers, and they generally cost less than $10 per person for a night. A popular option for those who would like a few more facilities are holiday parks- these are well equipped with kitchen facilities, bathrooms, recreation areas, powered and non-powered sites, cabins and often have activities such as playgrounds for the children. These can cost anywhere from $15-$40 per person per night depending on the Park, and may require booking. It is great to be able to meet other travellers in the shared facilities, and spread out a bit further than your camper! 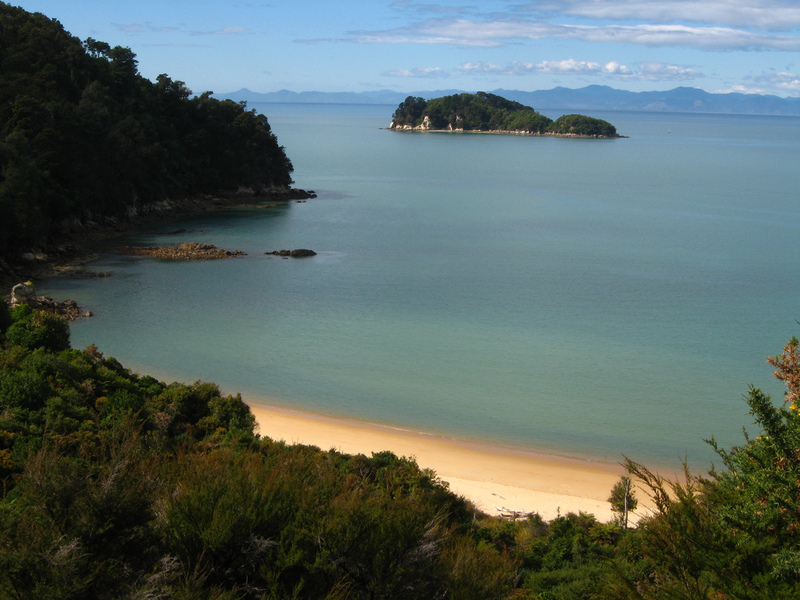 Kiwi Holiday Parks and Top Ten Holiday Parks are a great place to start looking. You could mix simple campsites with well-appointed Holiday parks, and have a great time experiencing all the different facets of life as a nomad in New Zealand. Those coming from mainland Europe and America should also remember that like the British, New Zealanders drive on the left! A peninsula about 2 hours drive south of Auckland, the Coromandel is the holiday destination of choice for many, and I know for a fact that there are thousands of city dwellers who remember with nostalgia driving across the Kopu Bridge on a friday night on the way to a bach (holiday cottage) or campground in Thames, Hahei, Whangamata or Whitianga. The Peninsula, 85km long and 40km wide at it's widest point, is home to some natural wonders- One is Hot Water Beach, close to the town of Hahei, where at low tide it is possible to dig a hole and create a natural hot pool in the sand. Just go to the beach at low tide and look for groups of people with spades to show you where to dig! 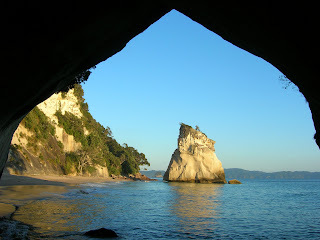 A little further north is the amazing Cathedral Cove, a stunning cove which requires a 40-minute walk to reach it. It is well worth it! You may recognise it as the place where Peter, Susan, Edmund and Lucy came ashore in the second Narnia movie, Prince Caspian. Further up the coast you will find the beautiful surf beaches of Kuaotunu, Opito and Whangapoua, and the adventurous can venture to Port Jackson at the tip of the Peninsula, but beware the roads are unsealed. There is a basic DOC campground there, and it truly is unspoilt and incredible. Along the western coast of the Peninsula, on the Firth of Thames, you will find the charming towns of Coromandel and Thames, with laid-back locals, artisans who are drawn to the peninsula lifestyle, and fascinating history dating from the Coromandel Gold Rush. 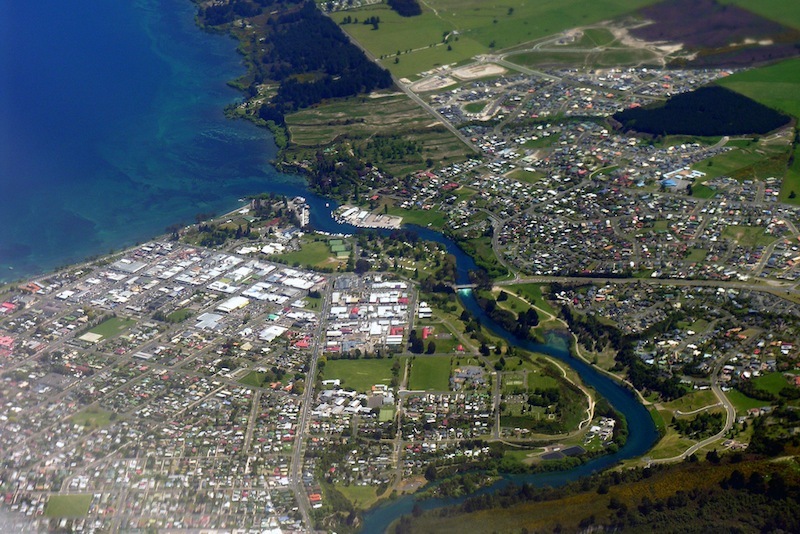 The town of Taupo is nearly as far from the coast as you can get in this long, thin country, but it makes up for it by being on the shores of the biggest lake in New Zealand - Lake Taupo. Formed approximately 26,500 years ago in a huge volcanic explosion, the lake is now a playground for kiwis and holidaymakers, especially those who prefer fresh water over salt! 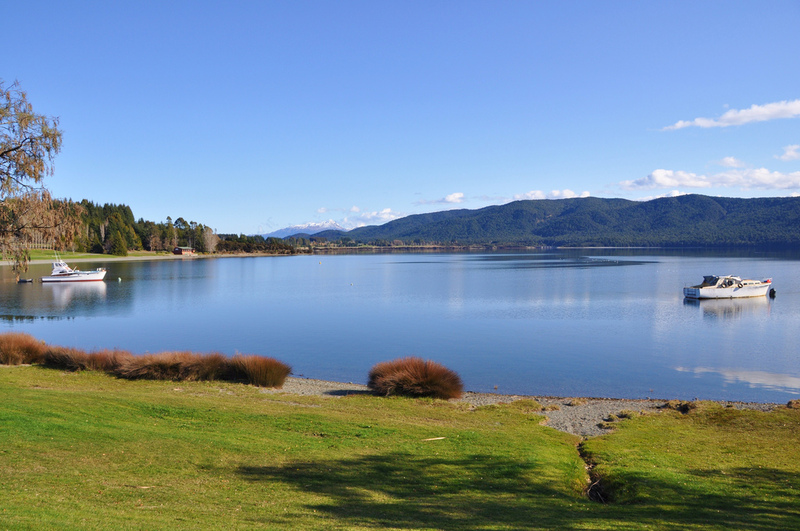 With many campgrounds around the town and lake, you will never be short of somewhere to stay, or something to do- Taupo offers sailing dinghy and windsurf hire, trout fishing, swimming, kayaking, bungy jumping, jetboating, and more. You can even try the famous Hole in One Challenge- don't be surprised if you come across golf balls in the lake whilst swimming! 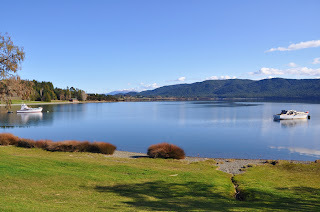 Taupo is also a handy short drive from the central plateau, so if alpine sports or a spot of skiing in winter/spring is what you'd like to do, you are close to the North Island's mountains. Golden Bay is the stretch of coast in the northwestern corner of the South Island, stretching between Abel Tasman National Park and Farewell Spit. Here, the locals are nice, the pace is slow and the weather is sunnier than anywhere else in the country! There are numerous small towns dotted along the coastline right out to the spit- many are home to artists, as is demonstrated by the many murals in the Bay and the colourful, interesting letterboxes which are one of the trademarks of the area! The Abel Tasman National Park is very popular amongst kayakers and hikers, who explore the golden sand beaches and coves and native bush of the area by sea on kayak safaris or on foot along the 3-5 day Abel Tasman Coastal track, one of New Zealand's "Great Walks." Further south than Queenstown, the Adventure Capital, is the small lakeside town of Te Anau, on the shore of Lake Te Anau in Fiordland. On the border of Fiordland National Park, it is the gateway town to this famously spectacular part of New Zealand. Fiordland is a wonderland of unspoilt mountains and sounds, 1.2 million hectares of National Park. It is best seen by boat, so consider taking a cruise or kayaking tour to really enjoy this amazing corner of the world. Te Anau as a town is also a destination in it's own right- a cute resort town where you can hire a pedal-boat to go out on the lake, take a magical journey through the glow-worm caves or just relax at a great restaurant and marvel at the scenery that the south of the south island puts on display. 2 more of the "Great Walks" start here- the renowned Milford Track and Kepler Track. 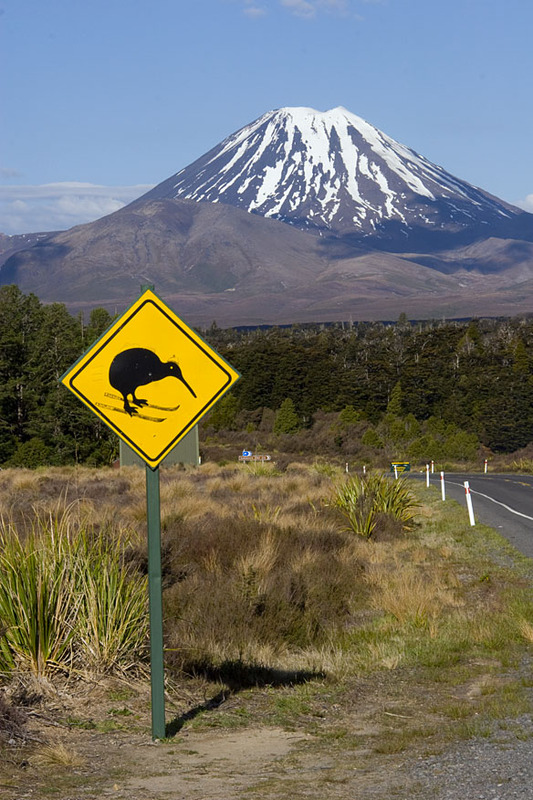 Of course, those 4 destinations are just a few of those that New Zealand has to offer the intrepid campervanner! 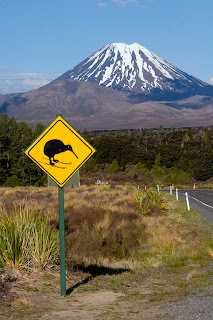 To look into Campervan Hire NZ, click here.